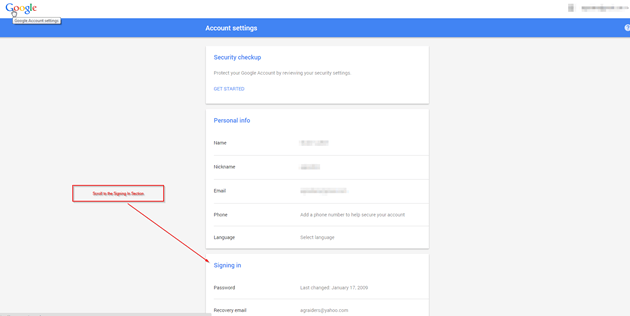 Once, in your account settings, you will go to the section that says “Signing In”. 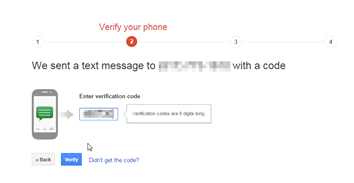 Scroll down to that area and then select the option for 2-Step Verification. You will then be taken to a wizard like interface where you will begin the process. Click on Start Setup to begin. Initially, you will need a phone to get started. Type your mobile phone into the space provided. 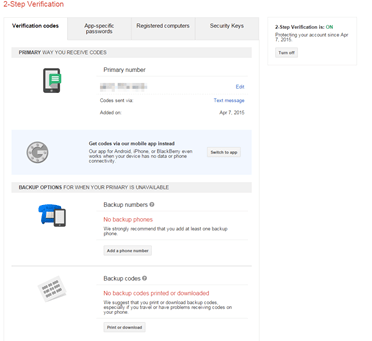 You will be sent a code that can be used one time to enter in the field marked “Enter verification code”. You will be taken to another page where you will be given the opportunity to add a computer as a trusted one. 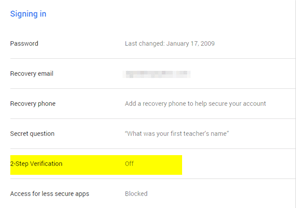 This means even if you lose your phone, you can still use a particular computer to login without using two-factor authentication. 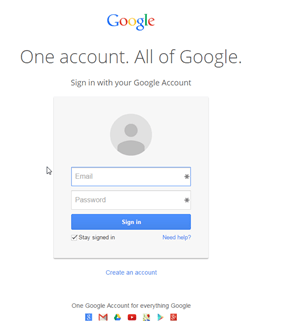 The next window will ask you to verify your desire to turn on two-factor authentication. Click on the “Continue” button if you want to turn it on. 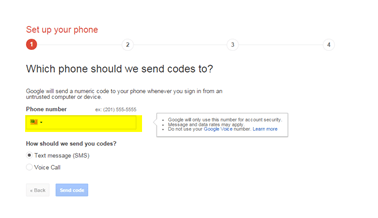 As you can see enabling two-factor authentication on your Google account is pretty simple. This will cover all of your areas of Google once it is enabled. This includes mail, calendar, tasks, Adsense, Adwords, etc. By enabling this extra layer of protection, you will ensure that you are the only one ever accessing it. It can be a bit of hassle having to go through this extra step. But, the extra layer of protection is definitely worth it.